Ruth Bader Ginsburg's Health: Will There Be Another Vacancy On The Supreme Court? When President Donald Trump announced his Supreme Court nominee Tuesday, his pick wasn’t exactly shocking. Neil Gorsuch was a tried-and-true conservative, just as Trump promised during his campaign. Gorsuch's ideology aligned with the late Justice Antonin Scalia, and he was known as a faithful originalist in his interpretation of the Constitution. The highest court in the U.S. is currently split. There are four liberal justices, three conservative justices and one justice, Anthony Kennedy, who lands somewhere in between. If Gorsuch is confirmed, he will be the fourth conservative justice, evening out the court’s playing field, so to speak. The country’s liberals are concerned: What will happens if a liberal justice retires — or worse — catches a bad cold, suffers a heart attack or dies? They especially wonder about the oldest justice sitting on the bench, 83-year-old Ruth Bader Ginsburg. 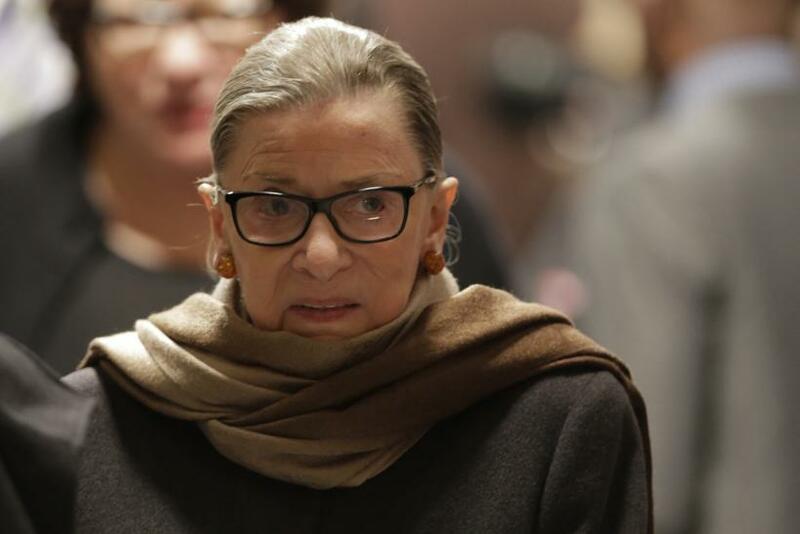 She’s known as the Notorious RBG, but she's not immortal. And that has people worried. One thing is certain: Ginsburg is tough. She’s defeated cancer twice — once in 1999, when she was treated for colon cancer, and once again in 2009, when doctors found pancreatic cancer early enough to beat it. Ginsburg had some onlookers anxious about her health two years ago, when she was seen nodding of at President Obama’s State of the Union address. She cleared up the illness rumors soon enough: "I wasn't 100 percent sober,” she said, admitting that she’d had some wine beforehand. And she doesn’t seem set to retire anytime soon. “At my age, you have to take it year by year. I know this year I’m okay,” she said in an interview with ABC’s Dan Abrams last September. Plus, Ginsburg said, she can do 20 pushups.